Keep your hands free when camping hunting or traveling. Material: canvas. 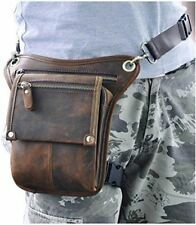 Item type: waist bag. Closure type: zipper. Biker's, Leather, Side-Carry, Bag (Warrior) / BROWN. Because this bag fits secure to the body, it's very useful for motor bike riding, horse riding. on your hip. maximum circumference of 43" ( fully adj. ). Biker's, Leather, Side-Carry, Bag (Warrior) / BLACK. Because this bag fits secure to the body, it's very useful for motor bike riding, horse riding, fire-arm range, work-utility, and other possible uses. Keep your hands free when camping hunting or traveling. Material: canvas. Item type: waist bag. Closure type: zipper. Great for military personnel, campers, hikers and etc. Color: black, brown, army green. Leg elastic strap. 3: very lightweight and practical, can be shoulder, can wear a waist, very convenient， It will make your travel easier! Waist shoulder strap. Material:600D Polyester(High Quality). Motorcycle Leg Bag Motorbike Riding Waist Pocket Drop Side Bag Reflective Wallet. Water Resistant Cycling Bike Rear Bicycle Saddle Seat Bag Mountain 0.8/1.1/1.5L. 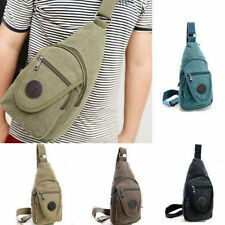 Made by Polyester & 1680D Oxford with High Quality,Make your hands free， It can be used as a waist bag or thigh drop leg bag, Ideal for Motorcycle, Cycling, Hiking, Camping, Joging ,Snowboarding,Skating and Traveling etc. Gender: Unisex. 1 x Drop leg bag(other accessories demo in the picture is not included.). Easy to mount and carry. Due to the difference between different monitors, the picture may not reflect the actual color of the item. Inner structure Zipper bag/phone bag/Note bag. This is very popular design, we believe you will love it very much! We do try our best to serve you. We only accept. Item color displayed in photos may be showing slightly different on your computer monitor since monitors. Keep your hands free when camping hunting or traveling. Item type : waist bag. Great for military personnel, campers, hikers and etc. Color : black. Color:Black Material:PU Leather. Lining:Synthetic Leather. Motorcycle Leg Bag Motorbike Riding Waist Pocket Drop Side Bag Reflective Wallet. Waterproof Bicycle Handlebar Bag 3-4L MTB Bike Front Shoulder Bag Large capacity. 1 x Motorcycle Leg Bag. Material: Polyester.